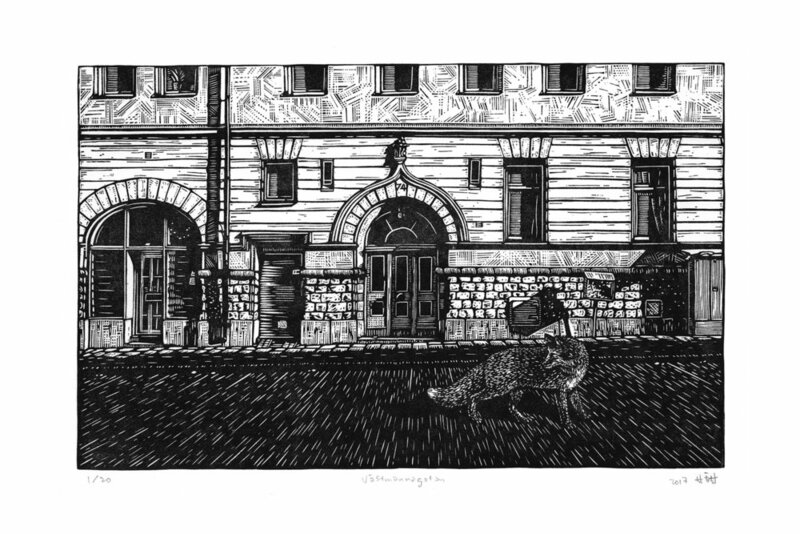 Linocut, 18.5 x 30 cm. Edition of 20 on Hosho paper. Year 2017.